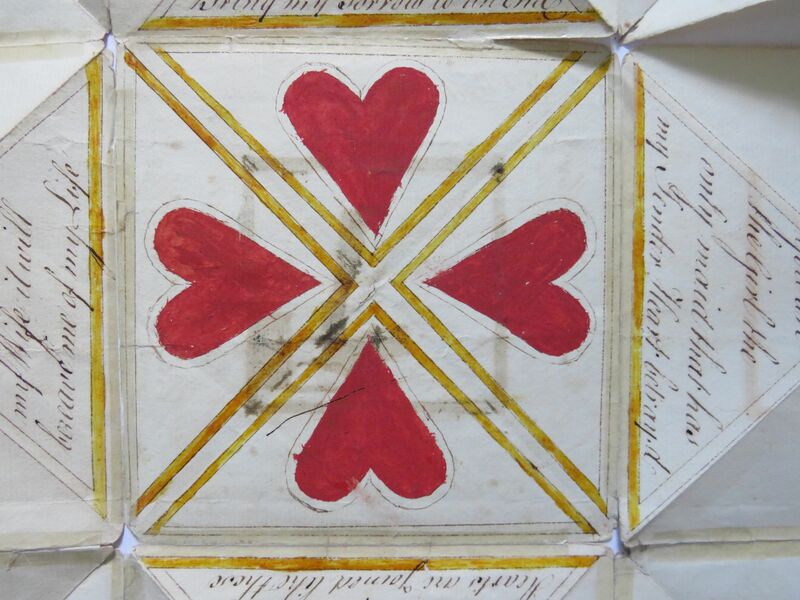 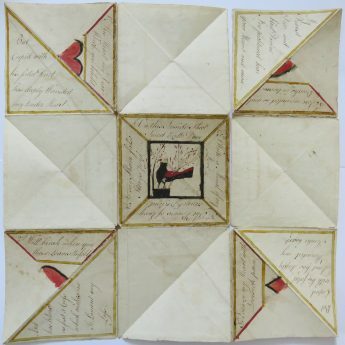 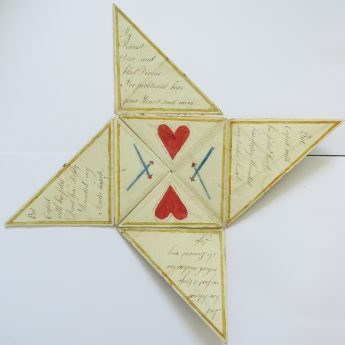 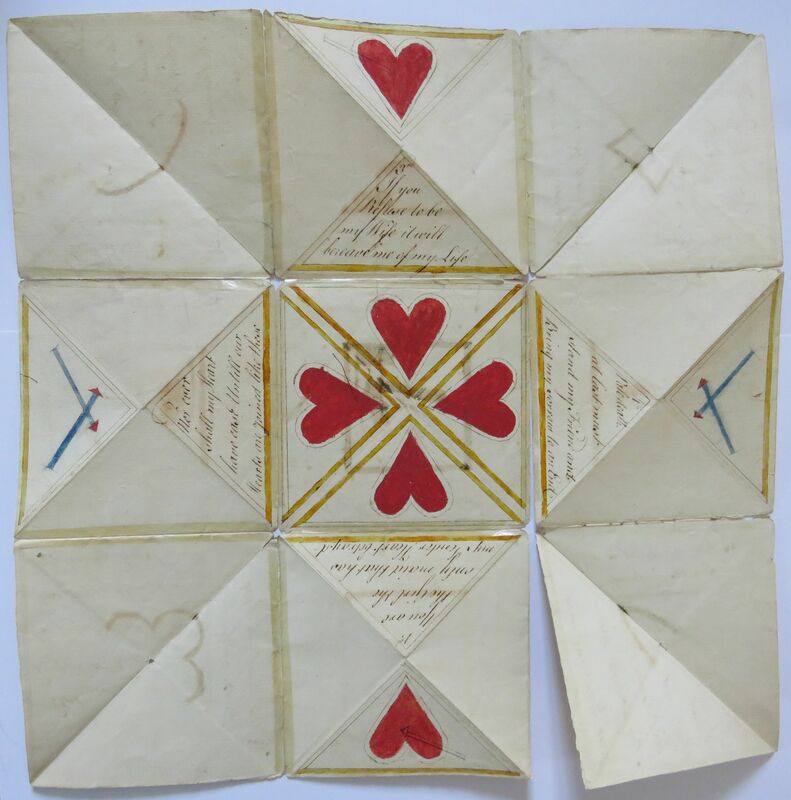 Inside are additional red hearts and pen & ink verses, some with wonderfully quirky spelling, whilst on the reverse side is a delightful little watercolour of a turtle dove perched on a flower pot and symbolising love and friendship with a final verse. 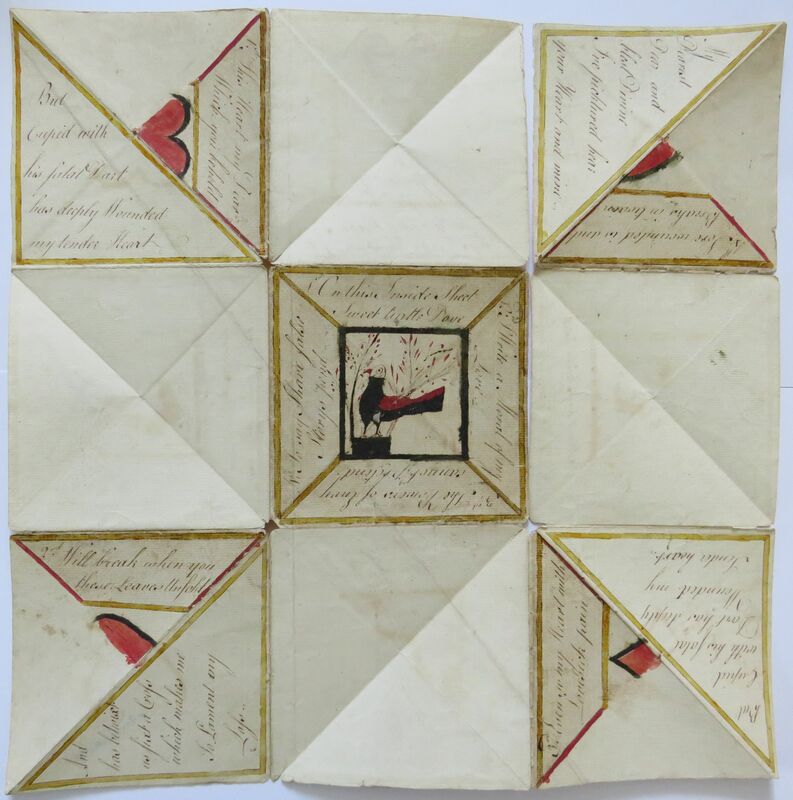 Puzzle purses were skillfully folded so the recipient needed to spend time trying to read the message in the correct order. 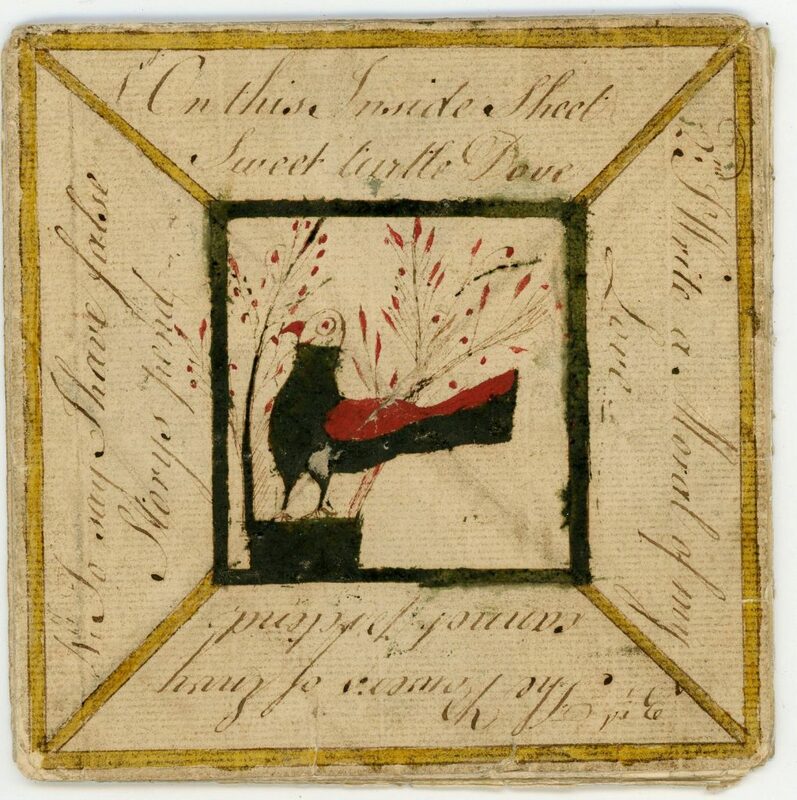 Early examples sometimes had a little reward such as a lock of hair secreted in the centre. 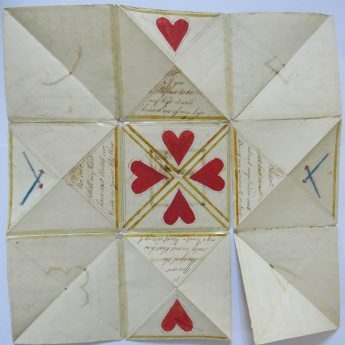 These Valentines are always fragile and this one is no exception. 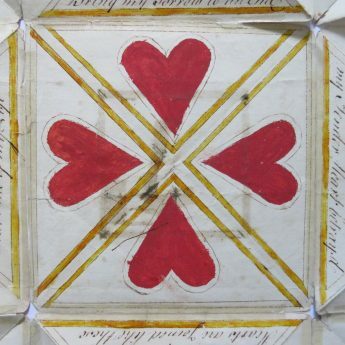 It has been drawn on laid paper with a partial fleur-de-lys and crown watermark. 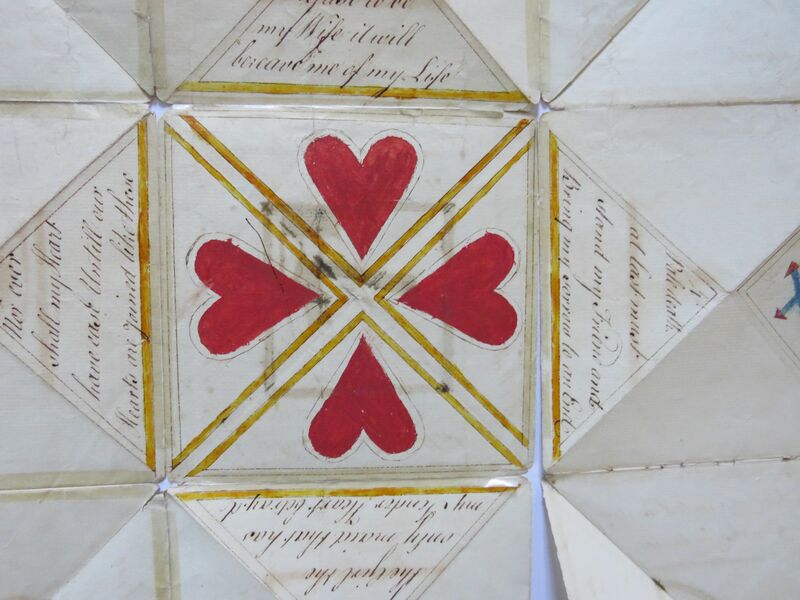 The paper has light age-browning and all the fold lines have split with discreet tape repairs to most of them. 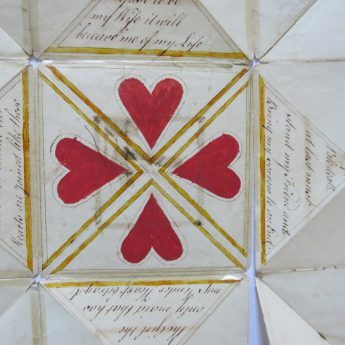 There are also small holes at the intersections of the fold lines. 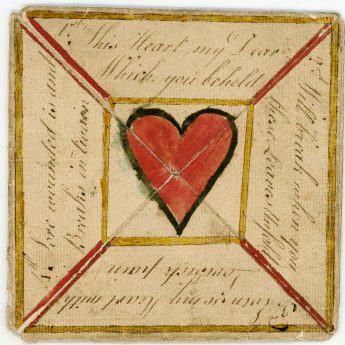 A lucky survivor, perhaps indicating that the recipient treasured it all her life and presumably gave her young gentleman a positive response.